~ Minimise cost ~ Maximize profit. Crown Interactive delivers innovative business models for Revenue Cycle Management which are targeted at customer centric organisations around the world. We believe that effective Revenue Cycle Management is better achieved by the automation and monitoring of key business processes. The Order-to-Cash process is very vital in the value chain of every business as it is usually the primary revenue generating activity. Our solutions for the Utility sector provide a platform for effective business process automation which ensure that utility solutions (essential services like Water, Waste, Power, and Gas) are provided to the public efficiently. Organizations in this sector face various challenges ranging from customer and revenue management capabilities to infrastructural issues involving metering. At Crown interactive, our goal is to transform these challenges to opportunities for an organization to reach or even exceed its full potential. Reliability, Efficiency and Return on Assets are key characteristics of any profitable utility company and our solutions are geared in that direction. 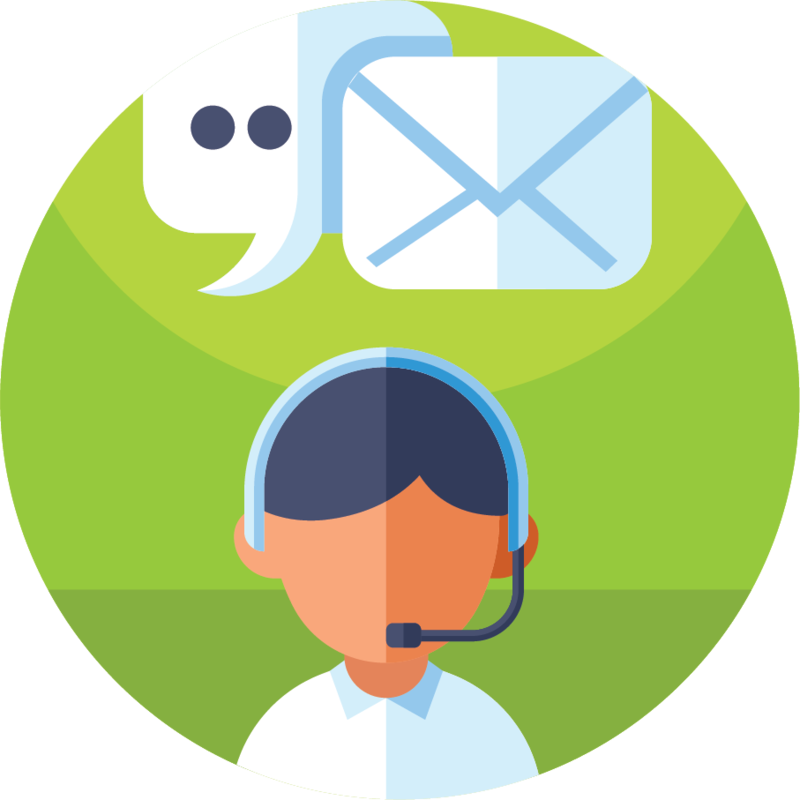 The service offering includes comprehensive order-to-cash services for local and international service providers who are seeking to outsource their business support systems with minimal capital expenditure. The CICOD suite of support systems are fully integrated with the option to choose. The applications within the CICOD Business Support Systems (BSS) can be integrated to existing ERP systems within an organization. 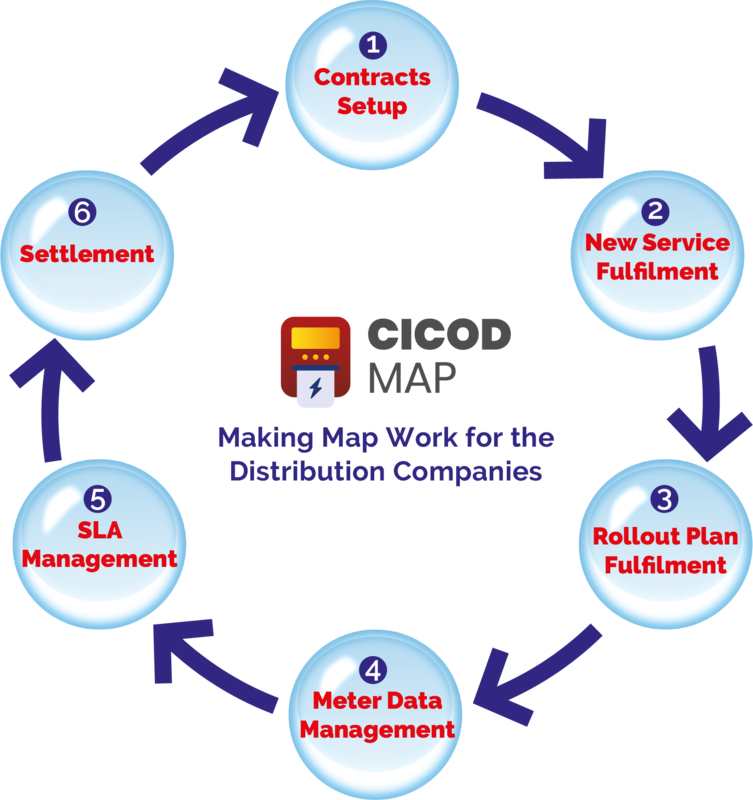 The CICOD applications are also offered as a fully integrated suite of systems to deliver even greater value within the ecosystem. 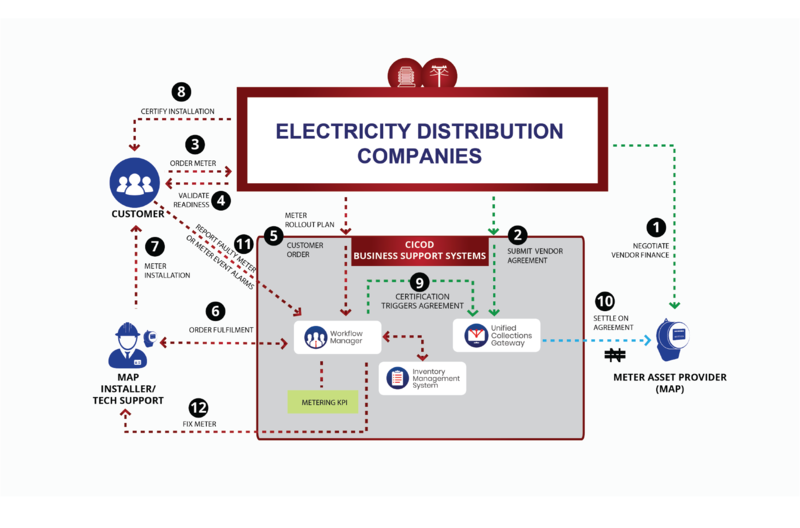 The Nigeria Electricity Regulatory Commission (NERC) issued a regulation introducing Meter Asset Providers (MAP) to help ease the burden of metering on the Distribution Companies as well as heed to the customer complaints concerning estimated bills. The Commission’s mandate for the migration of all metering contracts to the Meter Asset Provider framework; effective December 31st, 2018, is meant to facilitate the metering of all electricity customers whilst also easing the funding pressure on the Distribution Company investors. Automation of the Contract Setup: For transparent, viable and cost effective contracts. Management of New Service Fulfilment: New customers are issued meters on service connection. FinancialSettlement of stakeholders: Seamless, automated settlements of all concerned parties as per agreed contract on a monthly basis. Industries such as water, waste control, energy etc require systems to monitor and control a plant or equipment so as to minimize revenue loss as a result of technical losses. CICOD 1.0 Energy Management Control Centre’s (EMCC) Power System Control module enables the management of the flow of energy by monitoring the exact status of network assets, calculation of consumption and monitoring the revenue losses/leakages as a result of technical losses. System Generation and Load Monitoring and Control for Demand Control. System wide State Monitoring and Control . Supervisory Control for Transmission Lines and Equipment. System Alarm Monitoring and Corrective Actions. Poor maintenance of assets and delayed resolution of fault complaints causes loss of revenue and inefficient service delivery. Maintenance of assets maximizes asset availability and Utilization, it also increases safety and enhances service delivery to the customer at optimized cost. Managing and maintaining assets must include effective Preventive and Fault Lifecycle Management. This module enables Multichannel reporting, Measurement of the Opportunity cost on damages to any network asset, Material/Inventory Request management & Fault reporting, tracking and Fault Resolution. This solution provides a business the opportunity to reduce the cost of breakdown repairs to a minimal, extend the lifespan of equipment in the network asset and perform optimally. 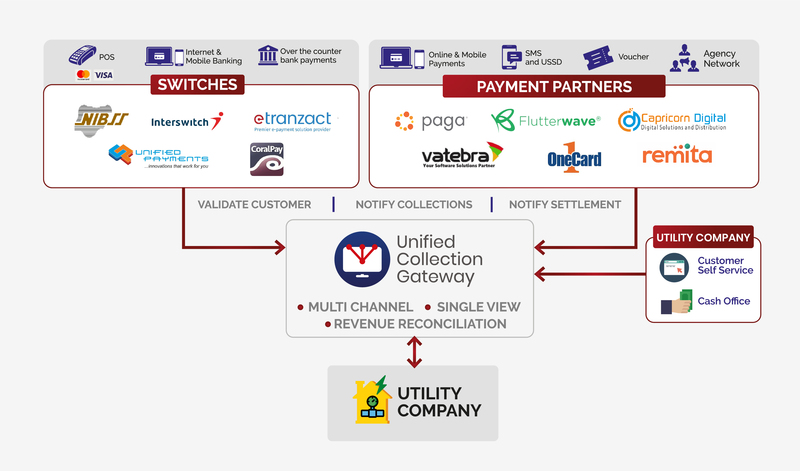 One major challenge of large service provider organisations is the ability to provide multiple convenience channels of payment, while still being able to reconcile all collections with bank settlements. This is still a huge challenge that businesses face in revenue collection and reconciliation. Dispute Resolution: the average time taken to resolve customer complaint arising from bill payment or vending, will be shortened as customer complaints will be passed directly from the bank to UCG support team for resolution.